Illinois’ medical marijuana program posted steady growth in 2018, pulling in $133 million in dispensary sales while increasing patient enrollment 66% over the course of the year. Moreover, Illinois dispensaries are poised to post additional sales gains this year thanks to a new state law that could spur residents to opt for MMJ versus opioids for treatment. 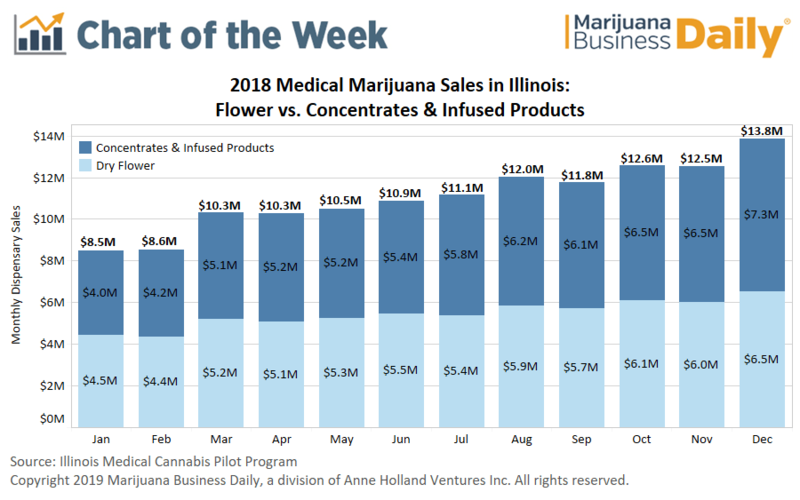 The bullish outlook comes after annual sales at Illinois dispensaries increased 55% last year versus 2017, with average monthly sales going from $7 million per month to $11 million per month in 2018. Concentrates and infused products continued to increase their market share, overtaking flower for the first time. Dry flower sales hovered at an average of 49% of transactions for the year, down from 55% in 2017 and 60% in July 2016, when the state began reporting the data. In 2018, an average of 1,875 new patients registered for the MMJ program each month, up from average monthly patient increases of 1,260 in 2017. The largest monthly patient gains in 2018 came between November and December when 3,000 new patients were added to the program. Both patient counts and MMJ sales are positioned for further growth in 2019 with the Alternative to Opioids Act possibly going into effect as early as this month. The act – signed into law last August – will allow patients with conditions requiring a prescription for opioids to instead obtain a 90-day renewable MMJ card. Furthermore, the act eliminated the previous requirement that patients and caregivers submit fingerprints and undergo background checks as part of the application process. Allowing medical cannabis as an alternative to opioids in Illinois could yield $100 million-$400 million in additional sales from tens of thousands of new patients. 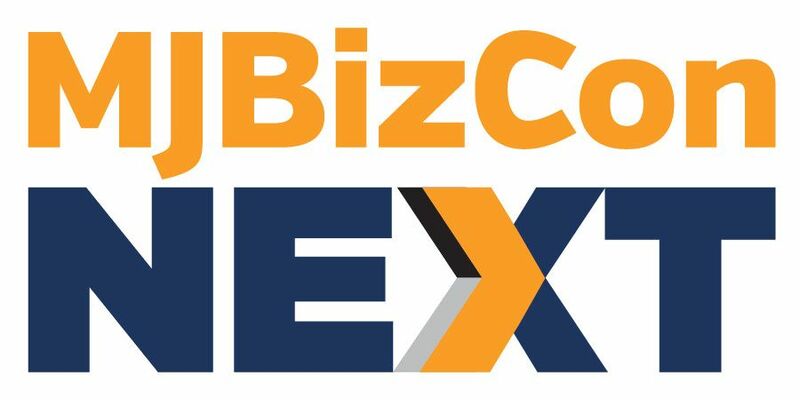 Cannabis businesses in Illinois may also receive a boost from the recent gubernatorial election of Democrat J.B. Pritzker, who reiterated his campaign vow to legalize adult-use cannabis at his recent inauguration. Illinois served an average of 23,929 unique patients each month during 2018, roughly 58% of total registered patients. Average weekly sales at the state’s 55 dispensaries totaled $50,000. The Illinois Economic Policy Institute estimates that legalizing recreational use in Illinois could result in $1.6 billion in annual sales and more than 23,000 new jobs.